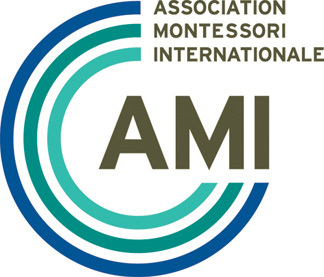 AMI Montessori Diploma Assistants to Infancy 0-3 (AMIDIP0-3) An in-depth study of Montessori pedagogy along with current medical and psychological approaches to child development for Montessori educators of children from birth to three years. An in-depth study of Montessori pedagogy focusing on the developmental needs of the child for Montessori educators of children from three to six years. This course is an approved diploma level education and care qualification by the Australian Children's Education and Care Quality Authority (ACECQA). An in-depth study of Montessori pedagogy and the development of children from six to twelve years, as well as the interdisciplinary Montessori approach known as Cosmic Education. Cosmic Education is a way of seeing the whole universe and everything in it. This approach recognises all aspects of the universe as interrelated and is the method we use for conveying this vision to children. Our hope for the child is that, as a result, they will not only be well educated, but see themselves as a living aspect of creation, prepared to take their place in society. An introduction to Montessori pedagogy and training for the role of assistant in a Montessori early childhood centre or preschool classroom. The course is also useful for parents, carers, and childcare professionals from other fields who would like an in depth understanding of the Montessori approach to education. The intention of the Assistants Course is to help interested adults become able assistants in a Montessori Nido or Infant Community. This qualification covers workers who use organisation policies, procedures and individual children's profiles to plan activities and provide care to children, facilitating their leisure and play and enabling them to achieve their developmental outcomes. Depending on the setting, workers may work under direct supervision or autonomously.